Moyra Davey’s practice of photography is closely connected to the history and the experience of reading. 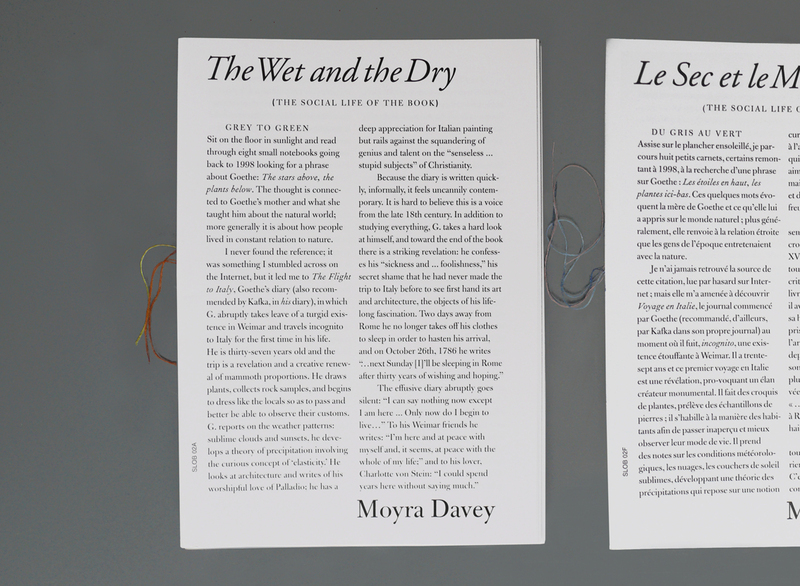 In The Wet and the Dry, autobiography and considerations on the medium mixes with the lives of Goethe, Mary Wollstonecraft and the Shelleys. This text was also the basis for Davey’s acclaimed video work The Goddesses.